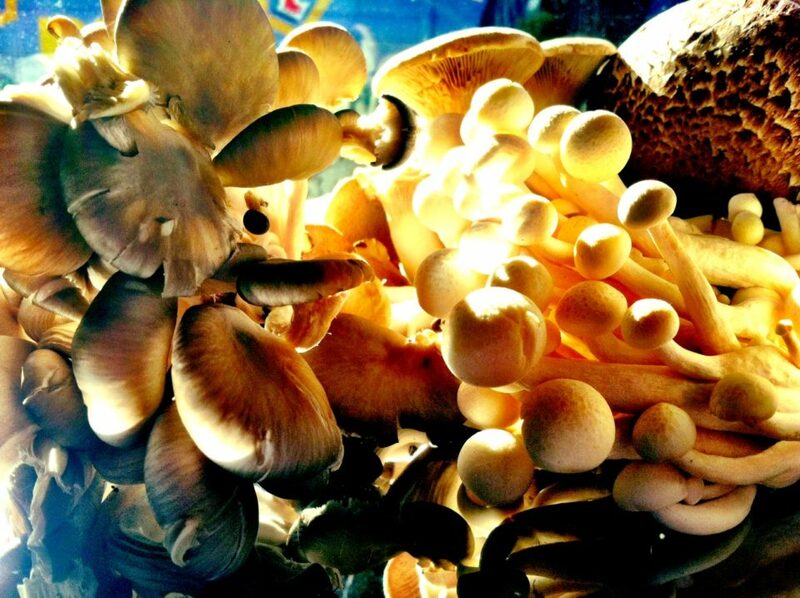 Fungi Fact: Mushrooms are good sources – compared to vegetables – of almost all the essential amino acids, which are the building blocks of proteins that we need to survive. And this is crucial for a vegetarian / vegan diet. Fungi Conclusion: Eat yer fungi! Ring in the Lunar New Year with a lucky pitcher full of bright orange tangerines. We discovered, in our OA kitchen lab this afternoon, that this sauce works amazingly well hot or cold. 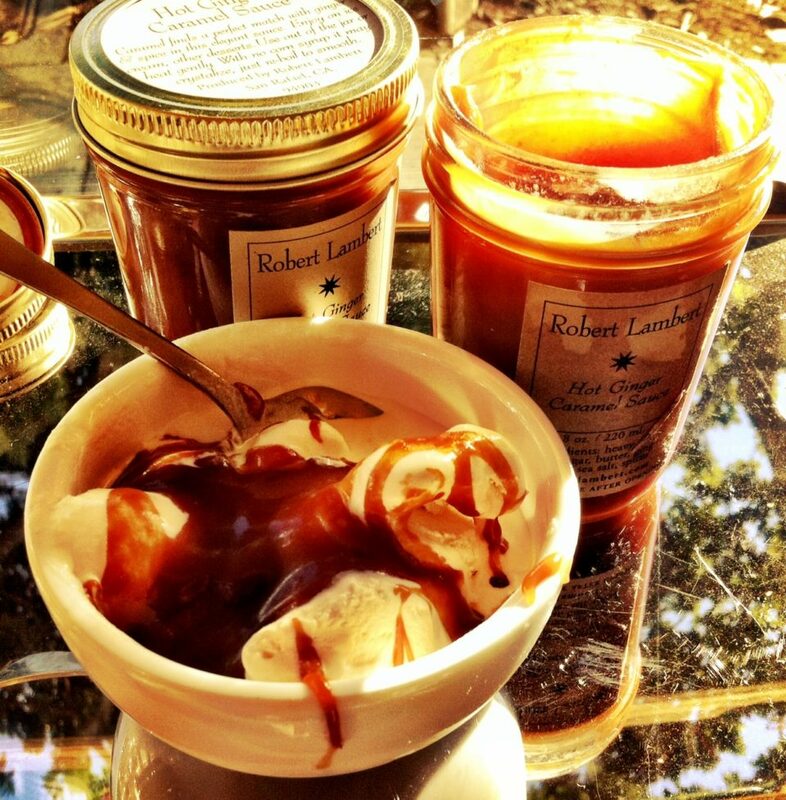 We tried it over ice cream, but this sauce works well over so many foodstuffs. 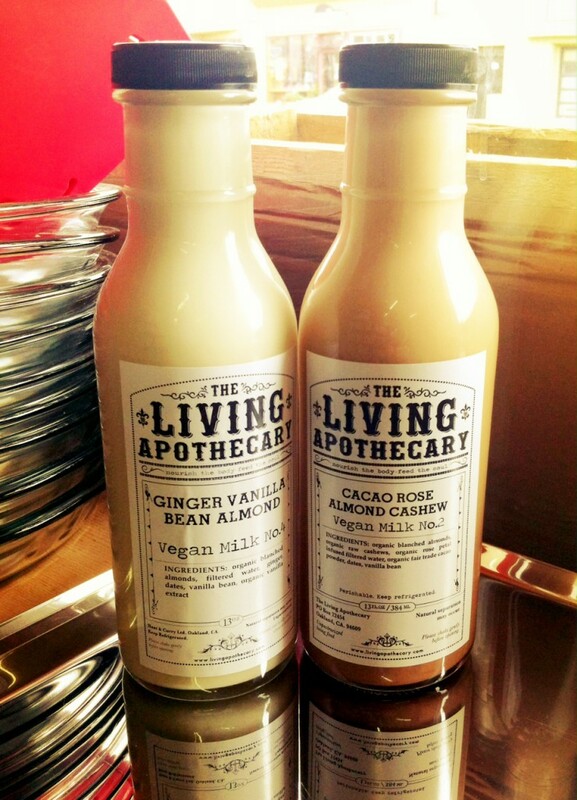 You can find this on our Holiday shelf, across from our cheese! Because without a pie plate, where’s your pie? No, no, try not to settle for a galette. You just can’t do that with the custard-y pies of Thanksgiving. We’re well-stocked this year, with everything from pie servers to very reasonably priced glass pie plates. 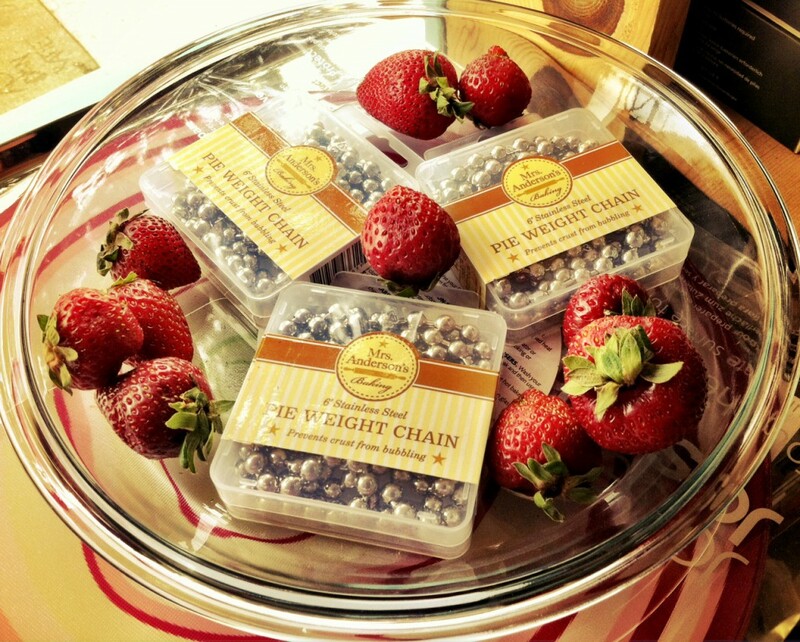 Don’t forget those pie weight chains, since you may not always have beans on hand, to pre-bake your pumpkin pie crust. We still have super duper apple corers, and fashionably colorful mixing bowls from joesph joseph. The list goes on. And ON. And don’t forget to check out our baking section in packaged foods, like marzipan! *This super “pielet” idea is actually from Dorie Greenspan, baker and cookbook author extraordinaire. Even in San Francisco, for a week or two in December, you can find roasted chestnut vendors at Union Square. You can try to find time to make your way downtown during a busy holiday just to buy a little expensive paper bag of chestnuts that aren’t even organic, anyway. 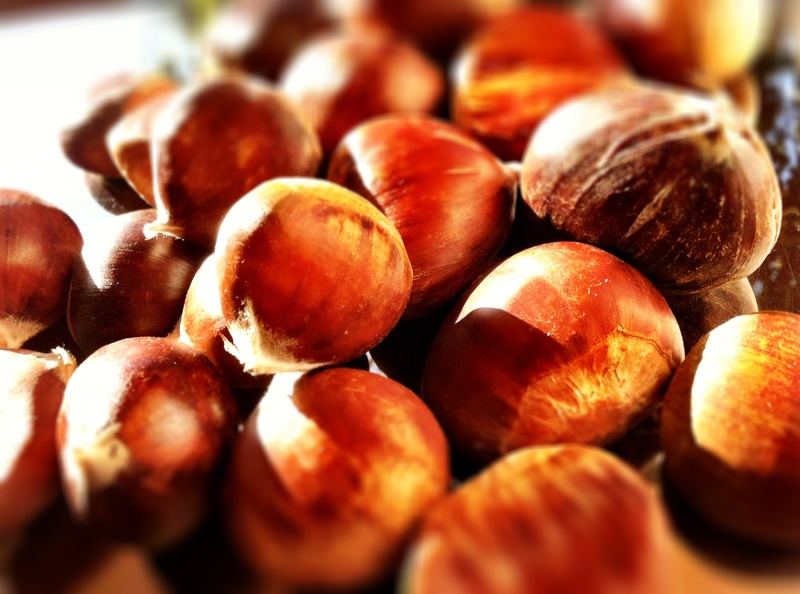 Or – really – you can roast your own organic chestnuts – the whole reason for this recipe because we sell organic chestnuts!! – and your kitchen will truly smell delicious. More like a starch than a nut, the roasted chestnuts are a perfect sweet & savory snack. The key is create enough hot steam so that the chestnuts peel easily. 1. Heat the oven to 475 deg F.
Measure out about 2 feet of aluminum foil and set it over a baking sheet. Place the chestnuts in the middle of the foil in a single layer. Bring the shorter sides of the foil up so they just meet. Crimp the longer sides over to create a seal. Leave a 1-inch hole at the top to create a vent. 3. Pour the water – with a measuring cup or another cup with a spout – into the vent and cook the foil pouch in the oven for 5 minutes. Lower the oven temperature to 375°F, carefully pull the foil down all the way to expose the chestnuts, and continue to cook until tender, about 25-30 minutes more. Peel when cool enough to handle. Total cooking time: 30-40 minutes, depending upon oven. We know we’ve made it to autumn when the farms start offering persimmons, heralds to the changing light and cooler temperatures. 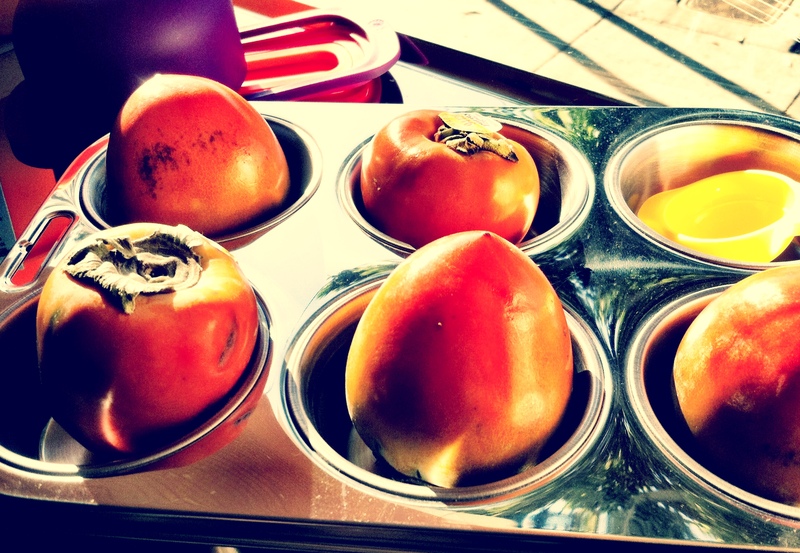 We’ve received the Hachiya persimmons first. Let these beauties ripen in a paper bag – otherwise they’ll be extremely tart, to the point of being mouth-puckeringly tart. Once your Hachiyas ripen to the point of having a silky custard-like texture, you can eat them with a spoon. Fall in love all over again. 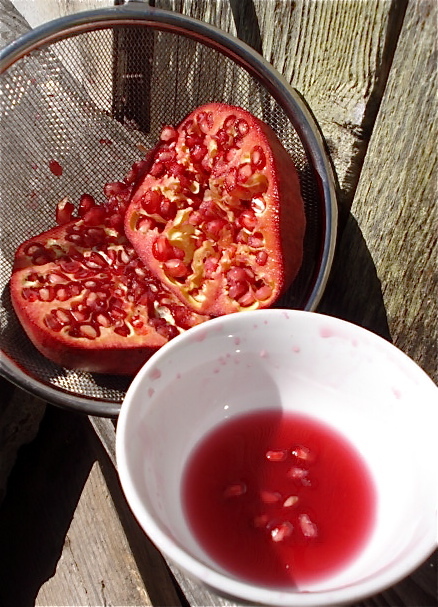 Partake of the pom and have faith in the global mythologies of love and fertility nestled in the red fruit. Or just forget the love stuff and try a pomegranate, anyway. And don’t forget to eat the luscious seeds, symbols of life itself – and very high in fiber. 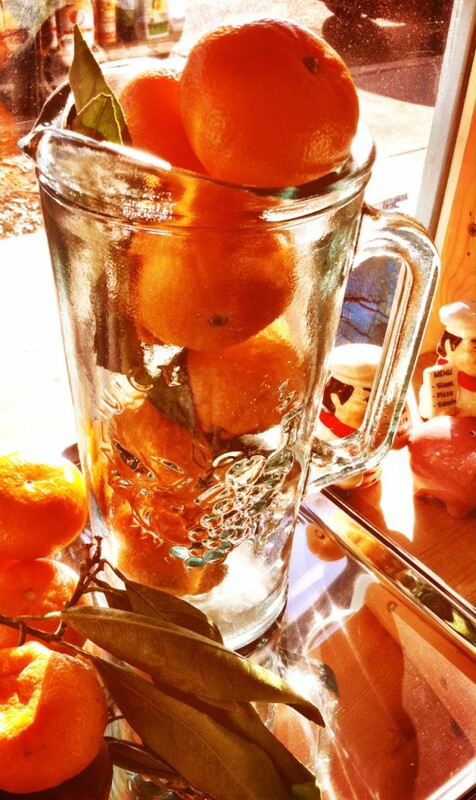 Luscious, tasty & very nourishing. It’s our new favorite thing. We’re especially big fans of the almond milks, devoid of the heavy oils found in the other nut/seed milks on the market. Find the kefir waters in our kombucha cooler, and find the vegan milks in our cooler milk section. Ah! Such sweetness! What we’ve waited for all year. It’s not that this is a popular tomato because of its early ripening. No, not that. We just love these dry-farmed Early Girls – their sweetly intense taste rivals some of the very best Heirlooms at the height of tomato season. Outstanding! Sure, you can cook these tomatoes, blah blah blah. 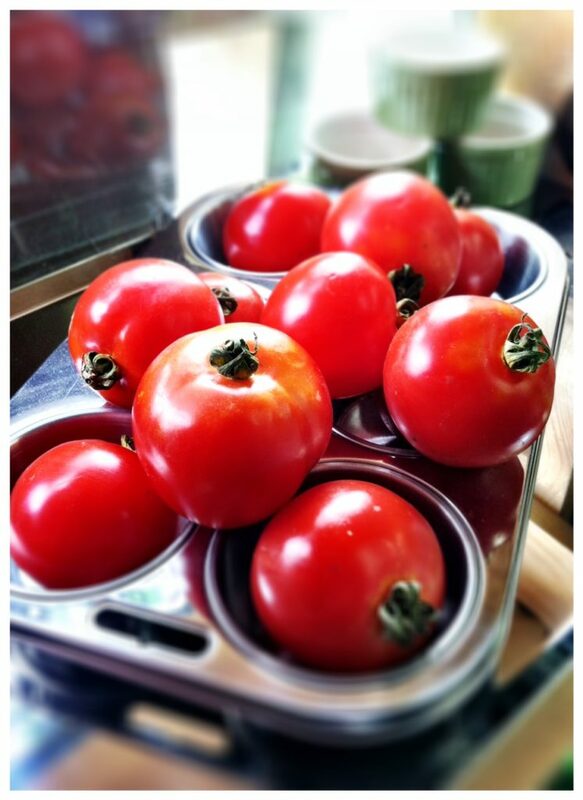 But we prefer to eat these magnificent tomatoes in hearty slices, just as they are.